Brother Jesse Blog: Jasiri X releases new 'TRAYVON' song: "The message is only White lives are protected in America"
Over the weekend, I tweeted to my followers "I'm sure @Jasiri_X will be the ONLY hip-hop artist to address this #Trayvon Martin case with some serious bars. We await...."
Well, it looks as if my prediction was on point because Jasiri X once again steps up to the plate to deliver much needed lyrics to further spread the call for justice in the case of Trayvon Martin. No more to say. Press Play, Reflect and Spread this song everywhere. Reposted from http://jasirix.bandcamp.com/track/trayvon. Bout to go to the store lil cuz you want some candy? 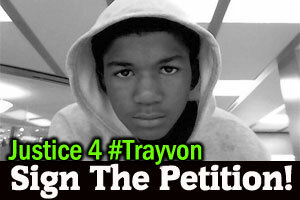 Related Posts:Trayvon Martin: What is Black Life Worth in America?Killer of Trayvon Martin is still free! THIS MAKES MY HEART CRY I HAVE TWO SONS THAT LIVE HERE IN THIS WICKET AMERICA AND WHO KNOWS WHAT CAN HAPPEN TO THEM WHEN THEY ARE JUST BEING THEMSELVES WALKING IN PEACE. OH MY GOD!!! THIS SONG JUST BOUGHT TEARS TO MY EYES! THIS IS TRULY A WAKE UP CALL FOR MANY. IT IS SO SAD, SO SAD. I LOVE THIS, AND I AM SO HAPPY SO MANY PEOPLE ARE SPEAKING UP FOR THIS YOUNG MAN (TRAYVON) MAY HE REST IN PEACE!! AND THANK YOU JESIRI X!!! MUCH LOVE MY BROTHER. MAY PEACE BE UPON YOU. This song is real, if we had more songs like this we would be stronger as a people! Melton v. State, 75 So.2d 291, 294 (Fla.1954) and Brown v. State, 515 So.2d 211 (Fla.1987). "Hoodwinked." Was George Zimmerman arrested and is the "clocking is ticking" in the Trayvon Martin case? Did the Florida Supreme Court define arrest for resolving speedy trial issues: when a Defendant is arrested, handcuffed and placed in a police vehicle; although the Defendant apparently was not booked and was allowed to leave the scene, his detention was sufficient to constitute an "arrest"? See Melton v. State, 75 So.2d 291, 294 (Fla.1954) and Brown v. State, 515 So.2d 211 (Fla.1987). Well that was pretty gay.